The engineers who designed your muscle car never began to consider what it would take to make a vehicle last 30 to 40 years or more. Furthermore, decades of maintenance, repair, and modification could easily have resulted in the use of incorrect parts. The good news? None of these shortcomings mean your muscle car cannot be reliable; to the contrary, with a little work it can be driven on a daily basis. 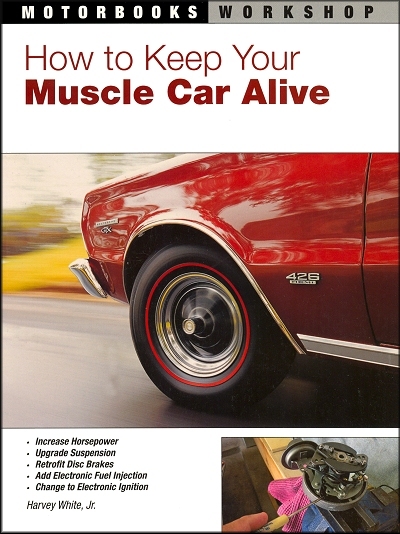 In addition to identifying all the problems associated with driving a car built almost half a century ago, How to Keep Your Muscle Car Alive is full of tips and tricks to help sort them out. And you don't have to perform all of the work yourself in order to benefit from this book. Even if you're working with a mechanic, it's best if you understand the "whats" and the "hows" yourself, regardless of who does the actual wrenching. Harvey White has always appreciated muscle cars, and was fortunate to be a teenager in the 1970s when muscle cars were plentiful and inexpensive. Harvey decided to write this book to pass on what he has learned through years of experience keeping muscle cars alive. Ask a question about How to Keep Your Muscle Car Alive: Maintenance, Suspension, Brakes, Engine, Fuel System, more.